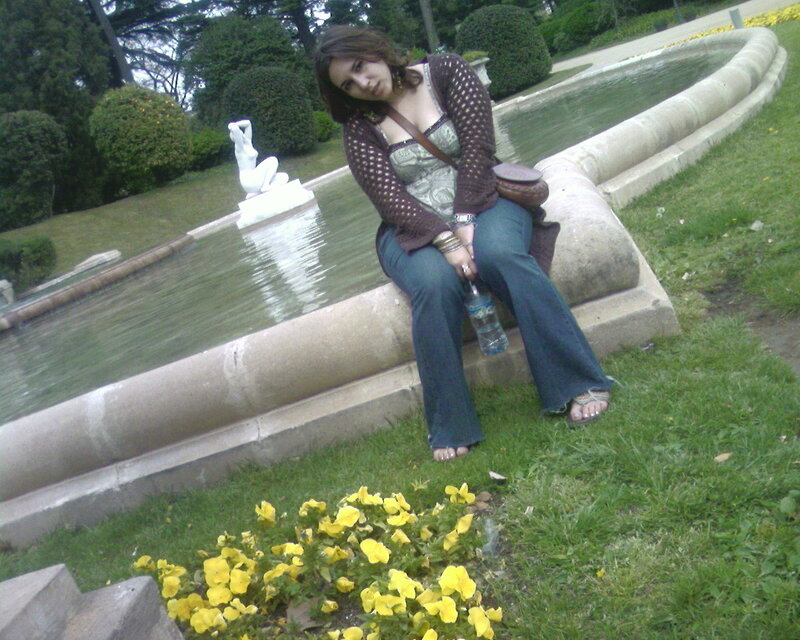 Midwesterner Abroad Come Spring in Barcelona…. While winter in Barcelona cannot compare to the snowy midwestern winters of my childhood, it does tend to get chilly enough here that people welcome the coming of Spring. One of my favorite seasonal rituals specific to Catalonia is the Calçotada. 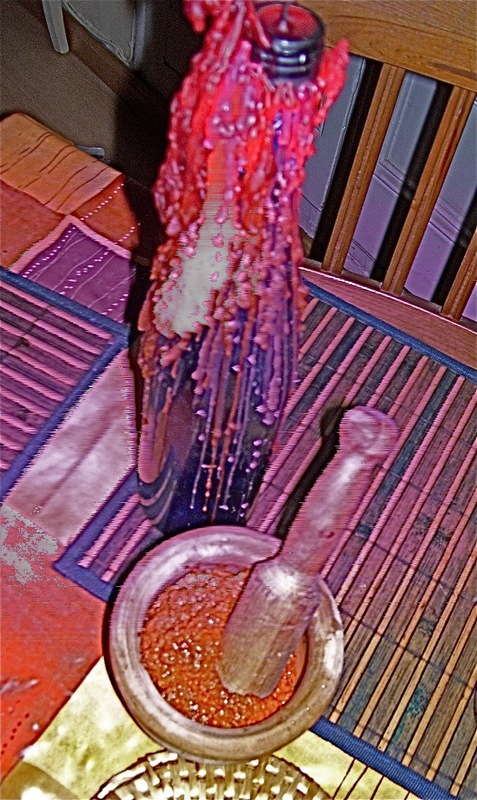 a sauce composed of a surprising mixture of ground toasted almonds and hazelnuts, roasted tomatoes and garlic, dried red pepper, bread crumbs, olive oil and vinegar. When the calçots finally arrive at the table, they are welcomed by a public adorned with bibs and plastic gloves. Why you might ask? Well, it has a lot to do with how calçots are eaten. The use of a fork and a knife is unthinkable. Calçots must be eaten with one’s hands. First, the lucky diner must peel off the charred outside layer, and then drag some of the calçot through the salvitxada sauce and try to get as much of the calçot in his or her mouth as possible without dripping everywhere. This is nearly impossible of course, hence the bibs. The gloves, as I learned after my first calçotada, are nice as well, because the charred black exterior of the calçots effortlessly rubs off on hands, but does not scrub off so easily later. While diners are stuffing themselves with spring onions, the cook is usually busily preparing a second course. The second course is typically a wide variety of meats grilled over the same fire and served with alioli (a Catalonian variation on garlic mayonnaise) and fried potatoes. Another typical second course would be botifarra amb monjetes, white sausage with white beans, also sometimes served with alioli. Ever present, of course, is pa de pages, a hearty peasant bread that diners often smear with tomato and olive oil or alioli as well as local wines and cavas (Catalonian sparkling wines). While grilled green onions may or may not be your cup of tea, Salvitxada sauce is also quite good served as a dip or sauce for grilled and raw vegetables, meats, and crackers and chips. Though it could be quite difficult to encounter in your local supermarket, it is fortunately quite easy to make, once you’ve gathered the necessary ingredients. To make Salvitxada sauce you will need the following: 1 oz toasted almonds; 1 oz toasted hazelnuts; 4 medium sized ripe tomatoes; 1 clove of garlic (to be roasted); 1 piece of raw garlic; 2 dried red peppers (as spicy or as mild as you desire); 1 slice of toasted bread or 1/3 cup of bread crumbs; 1 dried guindilla pepper (or small spicy pepper of your choice), salt to taste, extra virgin olive oil (to taste, how much you use depends on how thick you like your sauce), and vinegar as well as a blender or food processor, chopping knife, cutting board and tin foil. Before beginning, be sure to wash your hands and prepare your workspace, making sure counters are clear and necessary kitchen utensils are clean. Put the dried peppers in warm water an hour ahead of time. Then wrap the tomatoes and the clove of garlic in foil and bake them in the oven at 300ºF until soft. While your tomatoes and garlic are baking, toast the hazelnuts, almonds and the bread in a skillet with a little oil (if you have bought your nuts and bread already toasted, you can skip this step). Next, peel the baked tomatoes and garlic and put them in your food processor. With your knife on the cutting board, scrape the meat off of the peppers and slide them into the food processor as well. If you don’t like a lot of spice, try to separate the seeds and not mix them in, or use very mild peppers. Then add the almonds, hazelnuts and the toasted bread or breadcrumbs and blend a little. Then, little by little, begin to add in olive oil until the mixture is a consistency you like. Some people prefer their Salvitxada very thin and liquid. Personally, I like it better when it’s very thick. At any rate, when the sauce has the consistency you desire, add in vinegar and salt to taste. Serve it up with carrot and celery sticks, crackers or grilled chicken and tell your guests “Bon Profit” (“bon apetit” in Catalonian). 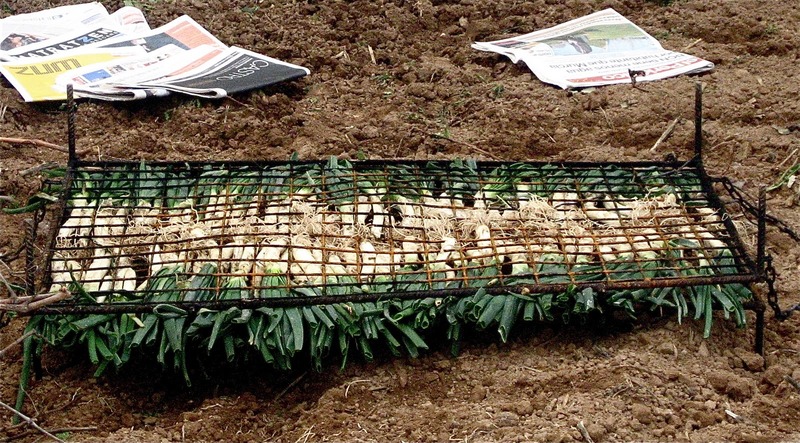 A Catalonian tradition, calçots, the first green onions of spring, are grilled over hot coals and then served with a special dipping sauce made from tomatoes, peppers, nuts, garlic and bread crumbs. Copyright 2011 Chris Ciolli. All Rights Reserved. First Published in “The Tipton Times” unless otherwise noted.